You can support this initiative through your social media profiles. Support and also ask and encourage people to join. 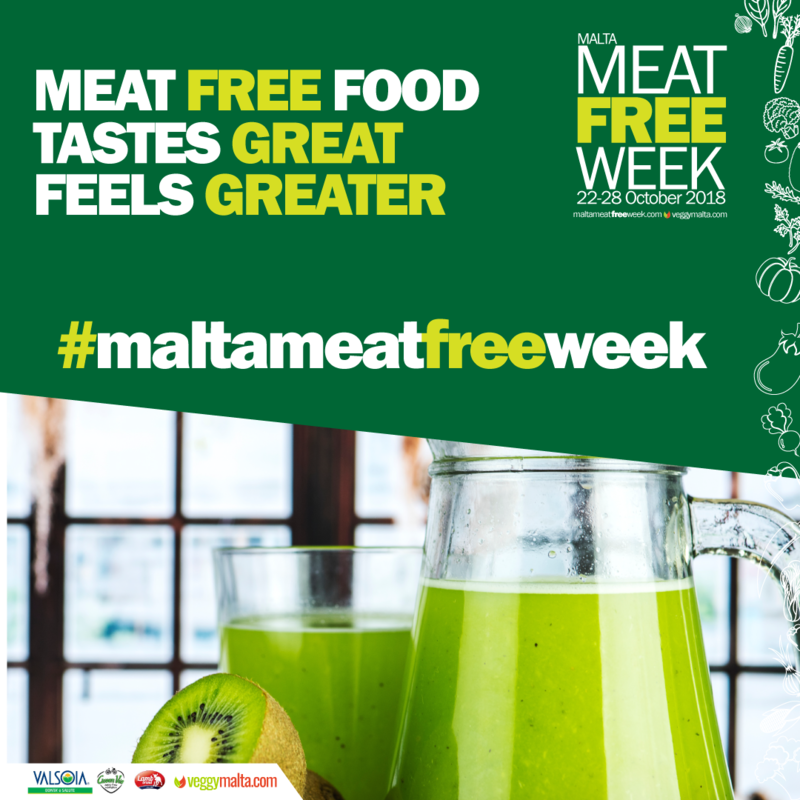 Use #maltameatfreeweek with all your images and tag us. We also have prepared a number of images that you can use on your social media accounts. Download and share. 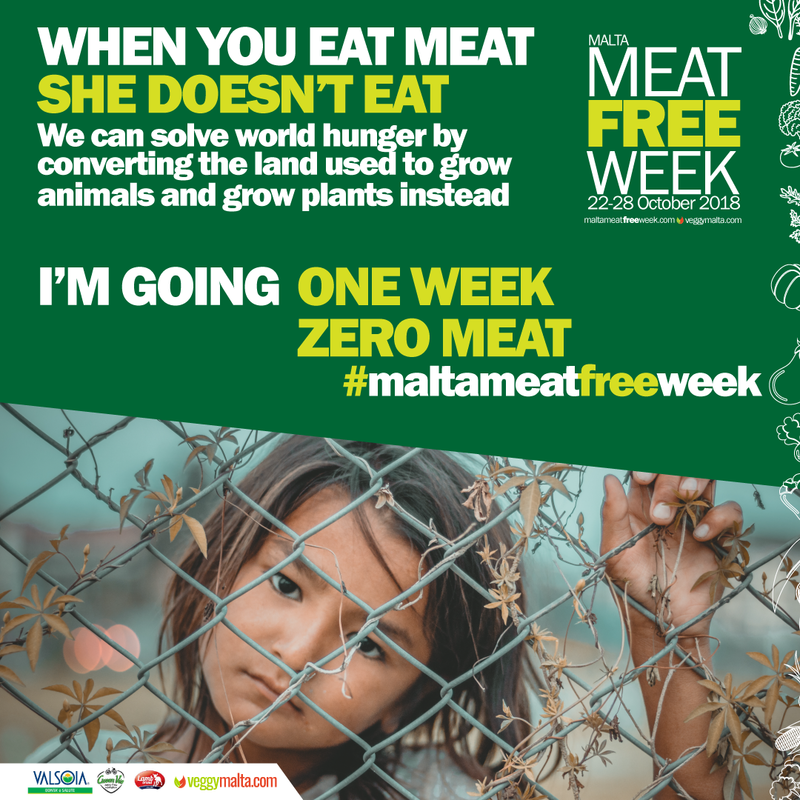 Let’s make Malta Meat Free Week go viral! 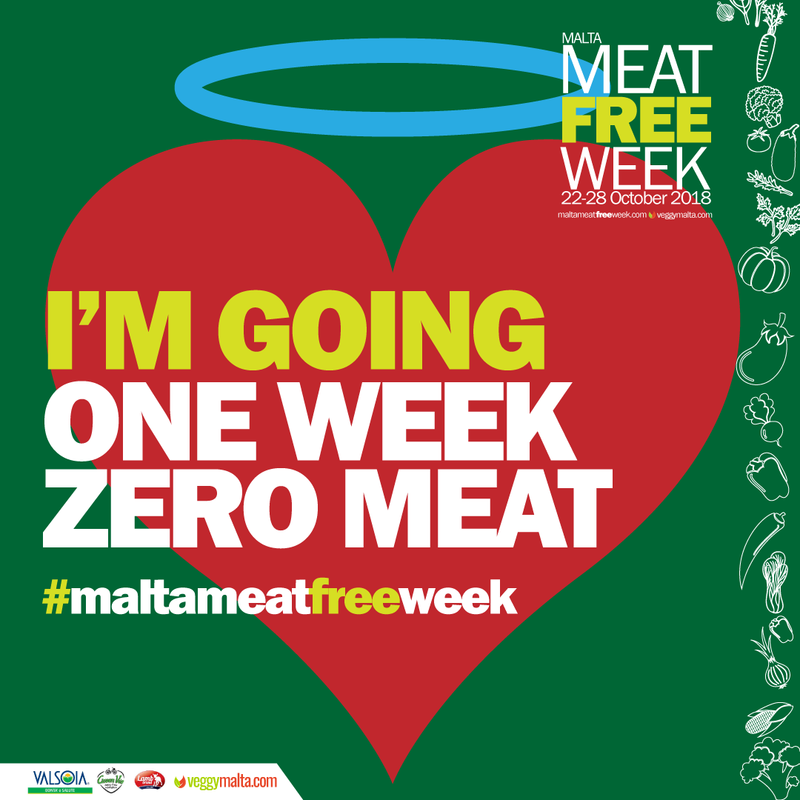 Show your support and participation in Malta Meat Free week by sharing it these images on Instagram. 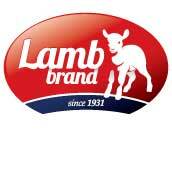 We have produced a number of images that can be downloaded and placed on your profile. You can add images, tag friends along with the images of the photos of your food and meals. Download and share at will. Spread the news. 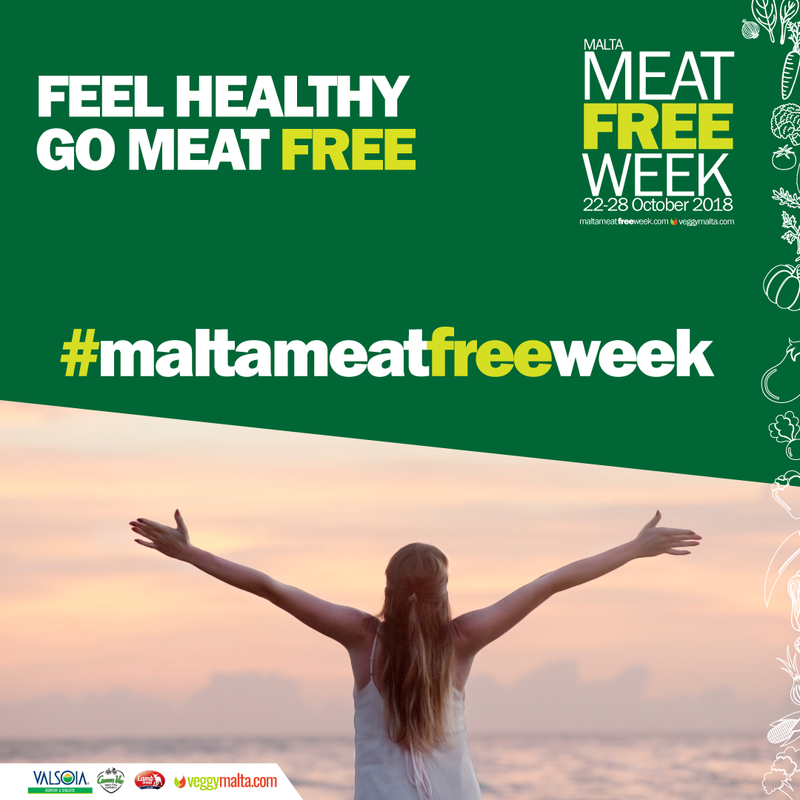 Remember to use #maltameatfreeweek and #veggymalta on Instagram. Feeling naughty and rebellious. 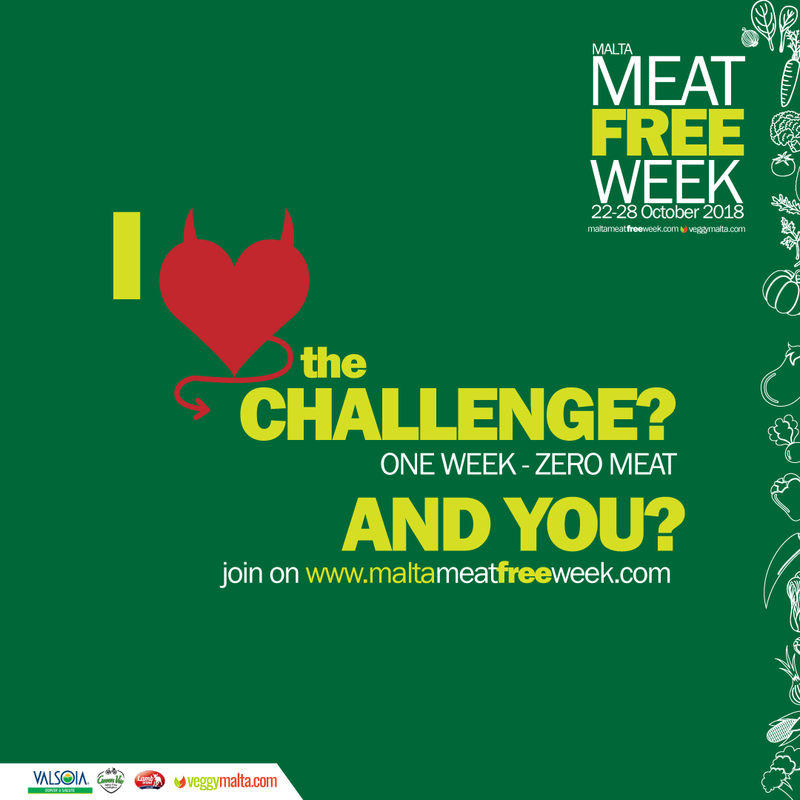 Show your support for the challenge. Tell all you friends on Instagram and at the same time encourage others. Do you want to save the environment. 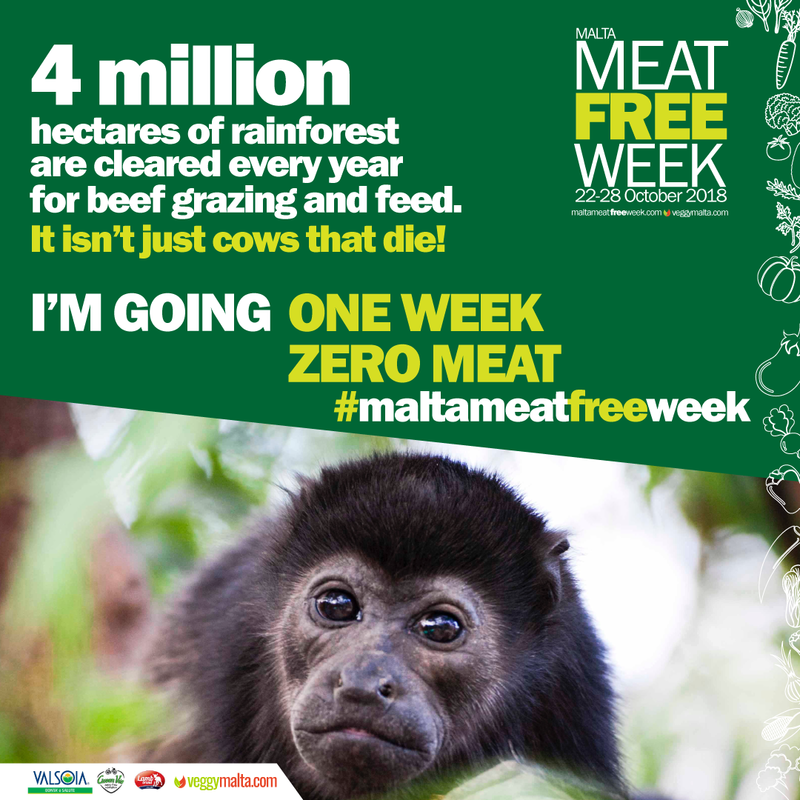 Well do your part and help stop the destruction of rainforests. It isn’t just cows that die but so do animals due to habitat loss. 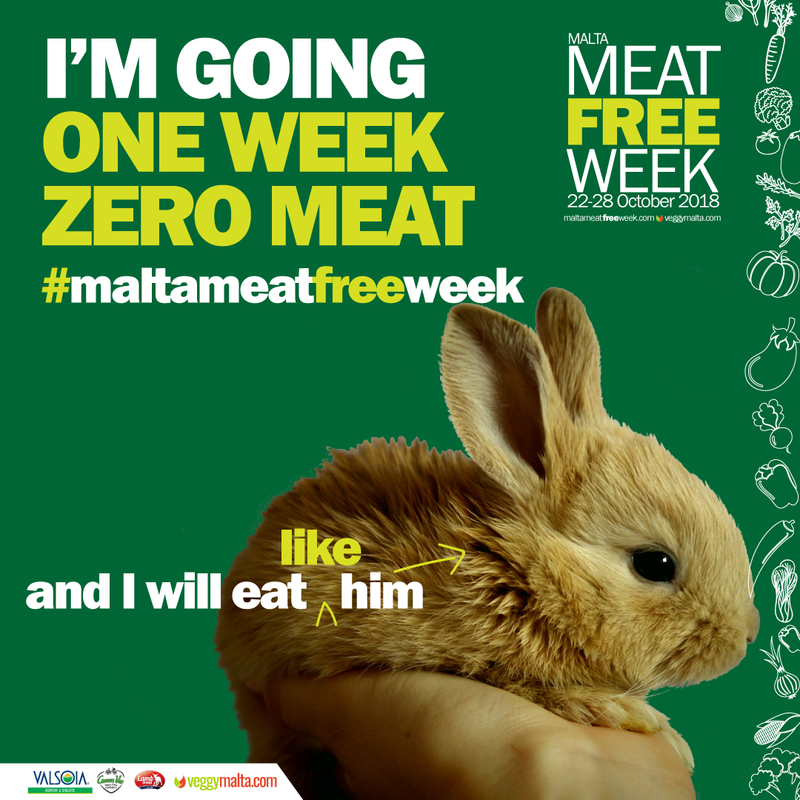 Go meat-free for one week. Tell all you friends on Instagram and at the same time encourage others. Isn’t that what they say about vegans … all your eat is grass! 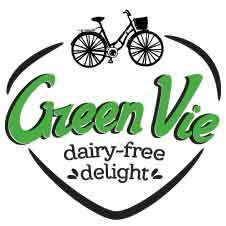 Smile and go along with it .. eat like a cow and not the cow. Tell all you friends on Instagram and at the same time encourage others. Isn’t that what they say about vegans … all your eat is grass! Smile and go along with it .. eat like a rabbit and not the rabbit. Tell all you friends on Instagram and at the same time encourage others. Use this as your profile header. Eating meat-free is not boring. It depends on the creativity of whoever is cooking. 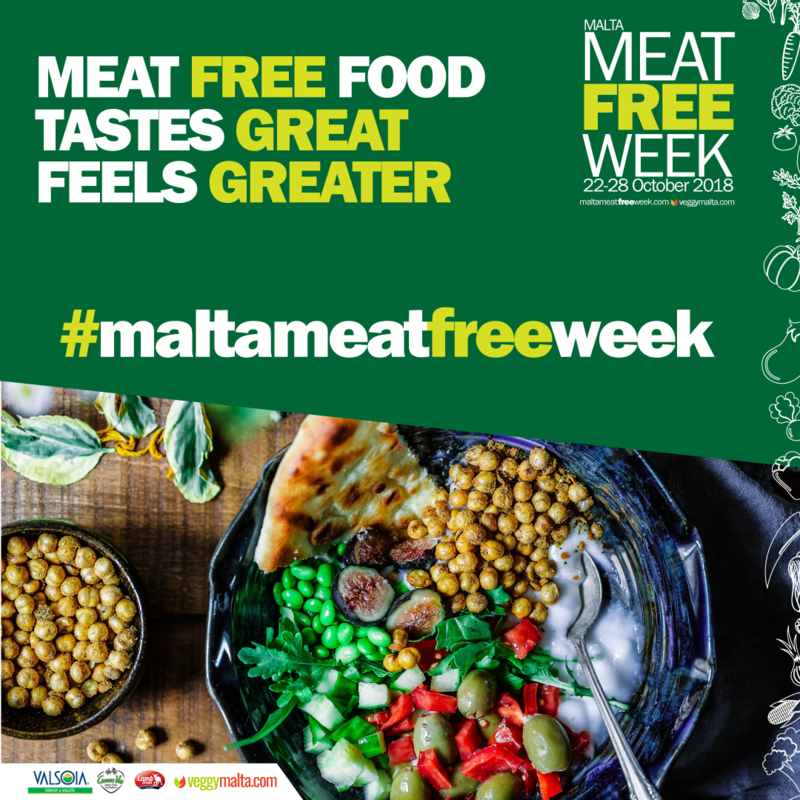 Meat-free food tastes good and feel greater. 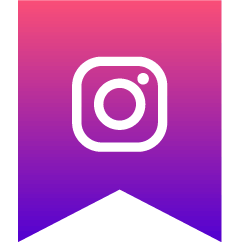 Tell all your friends on Instagram. 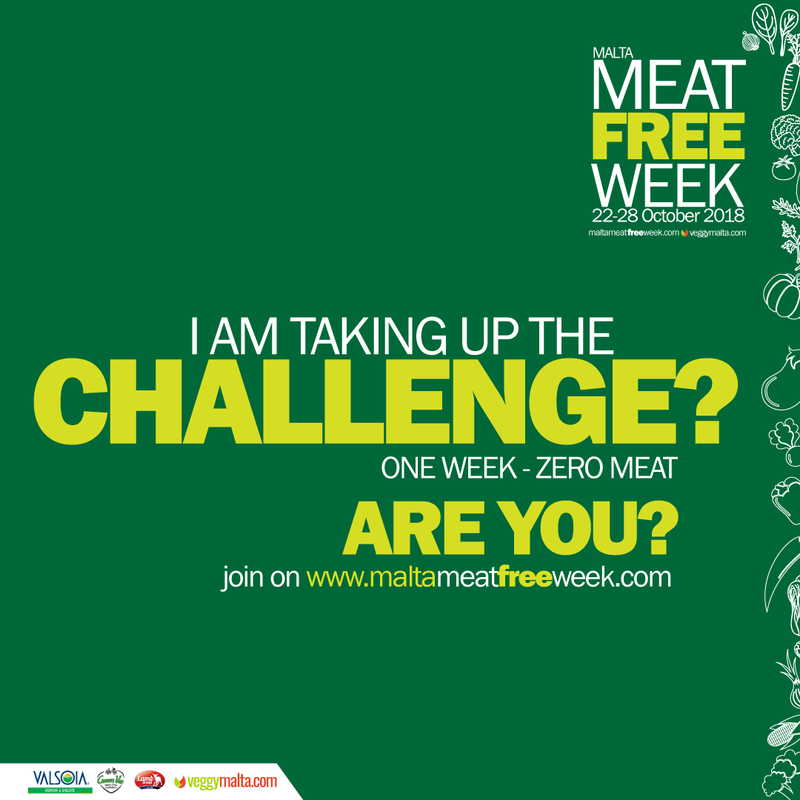 A meat free lifestyle is associated with a healthy lifestyle. By reducing harmful foods you are helping and cleansing your body. 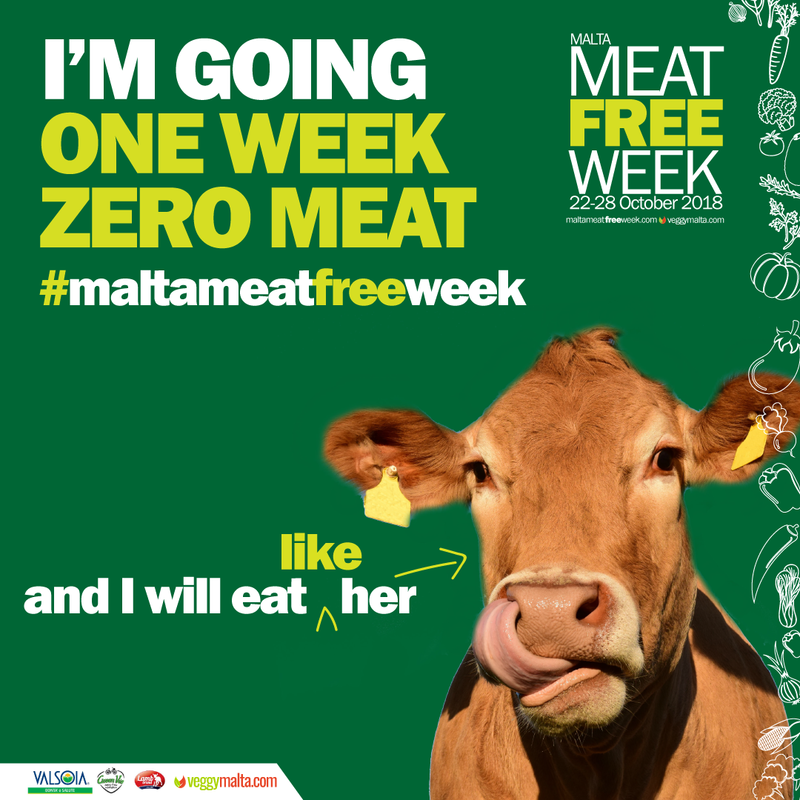 try going meat-free for one week and see how your body feels.